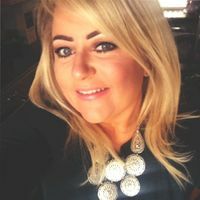 Rebecca is head of conveyancing services and specialises in all aspects of residential conveyancing work for both private clients and organisations within the house builder and financial services sectors. Our conveyancing services team includes our residential conveyancing practice, our plot sales team and our volume new homes team. Rebecca provides advice in relation to all aspects of residential property, repossessions and recoveries, disposals by auction, contentious conveyancing, shared ownership/equity matters, the appointment of Fixed Charge Receivers and finding commercial solutions to complex property issues. Rebecca’s experience also extends to the design and implementation of an award winning client extranet for house builders, providing an online solution to plot sales. Lifetime ISAs and new build properties – what can we do to avoid delaying exchange of contracts and costing buyers financially?